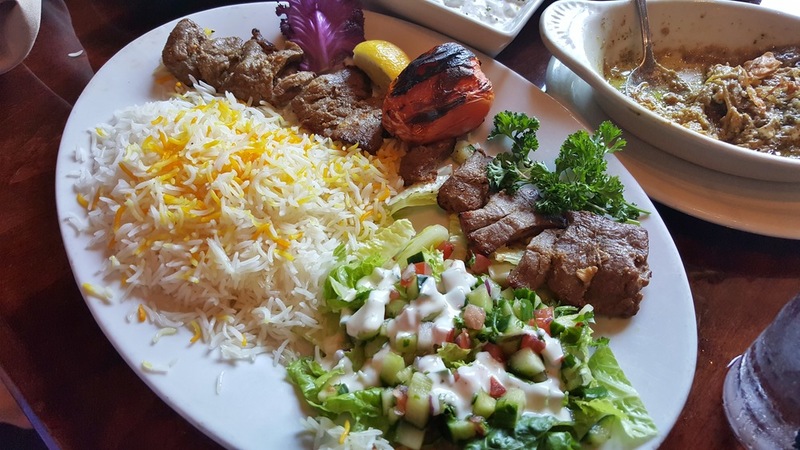 The Persian Room in North Scottsdale has been around for more than 25 years, but I'm sad to say it took me 7 years of living in the valley before I made my first visit - but it won't be my last. In fact, I have lunch plans with friends again tomorrow. 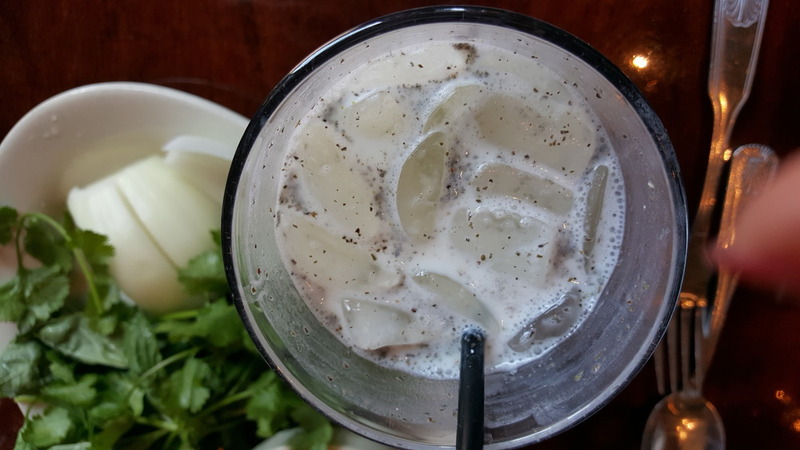 Doogh, a tangy carbonated drink with yogurt and milk. Each table also receives complimentary pita with butter, onion, and fresh basil. Kash O'bademjan (roasted eggplant mixed with kashk/whey, garlic, onions & mint). Shirazi Salad with cucumbers, onions, and tomatoes. Beef Shish Kebab with basmati and Chicken Barg Sultani with two kinds of chicken kebabs and Baghala Polo (basmati with dill and fava beans). If you need a speedy lunch, this isn't the place, so allow plenty of time. I especially liked the Doogh, Kas O'bdemjan, and Adas Polo, which I will be ordering again. And this time I'll save room for dessert! Afterwards, I did a little shopping at the Caspian Market next door: Fava beans, Bulgarian feta, yogurt, zoolbia (honey syrup-soaked fried pastery) and pistachios.